Do you want a Visa…or a Hole? How many ways can you make a hole? 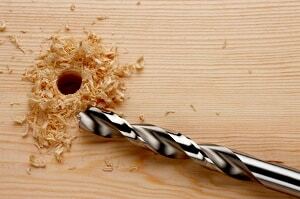 A man walks into a hardware shop and says to the salesman, “I want to buy a drill bit”. But that’s not what he really wants. He wants a hole. He’s just made a decision – based on perhaps his own experience, or an answer from the masses on Facebook – that a drill bit is going to give him the hole that he wants. Perhaps there are other ways of making the hole – ways that he’s not aware of yet. If he’s fixated on a drill bit, he might miss out on very creative solutions to his problem. Forget the Solution……What is the Problem? How many of us go through life; focusing on our preconceived solutions; without sitting back, identifying and realising what the actual problem is that we are trying to solve? Sometimes in fact the problem is much greater than we even know it is. Take for example a recent migration client of mine. Greg, an Australian businessman, came to see me, to discuss a visa for his partner Elena. After a consultation, in which I explained how we could assist, I called Greg a couple of weeks later. Sheepishly he told me that, after the consultation, Elena had decided she could do it all herself. After all, she could read the DIBP website; and she was sure that the embassy in her home country would be extremely helpful. The advice I had given her during the free consultation was, she felt, enough,and she didn’t see the value or need for paid professional advice from me. That was about 6 months ago. Last week I received a call from Greg; who was in Asia in a panic. They’d applied for the partner visa, and now Elena had joined him on a business trip. She had applied for an Australian Tourist visa, which hadn’t been approved yet. They had already booked the plane trip back to Australia, and he needed to return for work. He’d made phone calls all around the world; hadn’t got anywhere, couldn’t get answers and now needed my help to get her back to Australia with him. He’d assumed that, because last time Elena applied for a tourist visa, it took 7 days, so it would only take that long again. Greg wanted a Life, not a Visa. Let’s put this in the context of the hardware store example. Greg didn’t just want a partner visa. What he wanted was to make a life for himself with Elena in Australia. But, together they had formed a view that the Partner visa alone was going to solve this problem. What Greg and Elena didn’t appreciate was that, had they engaged my help from the beginning, the value I would have added would not only have included the Partner visa; it would have taken into account ways to allow them to be together during the lengthy processing time of the offshore partner visa – which is now up to 15 months. All at no extra cost – all part of the fixed service fee. And, they would have had migration advice and help on tap during the process. And they would have saved themselves a bucket of money. Ironically, the unexpected costs they incurred were greater than our partner visa professional fees! A good migration agent does far more than just fill in forms. There are a million and one ways that people unwittingly fall into traps during the visa process. An experienced and qualified Agent knows the traps, and can show you how to avoid them. Why risk your hopes, dreams and plans for the future, all for the sake of a professional fee that is often less than the actual visa application fee?